Busses run every half an hour from 5:30am – 6:30pm and a one way journey to the airport costs Rs110. The journey takes around 45 minutes But it can stop up to 7 times before getting to the highway entrance at Peliyagoda depending on seats available. This is the most direct bus route from the Colombo international airport, otherwise known as Katunayake, into the centre of Colombo as it takes the new airport expressway, which saves a considerable amount of time. Busses run to and from the Katunayake Airport Bus Station, which is a short tuk-tuk ride from the airport arrivals lounge. Unfortunately since tuk tuks are not allowed into the airport grounds they can to be taken from outside the arrivals pick-up area, take a left as you exit the airport and head out of the airport grounds, roughly 100m. You can use our fare calculator here to estimate the cost, or better still make sure your tuk tuk has a meter! After 6:30pm some private 187 AC busses have been known to pull up at the arrivals area, but this service is at their discretion. Alternatively a taxi from the airport costs around Rs2900 (+Rs300 if you want to use the expressway). We have built a taxi-sharing application so if you want to try meeting fellow travellers from the airport then why not enter your details and see if you find a match. have any through highway bus airport to galle???? 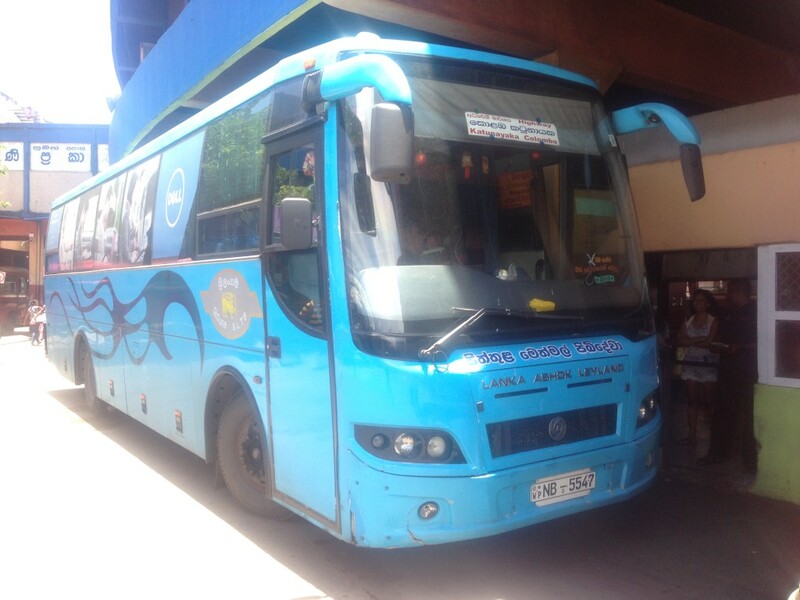 At what time first bus to the colombo from negombo bus station on highway? My flight reaches Colombo International Airport at 1:40 am and I need to travel to Galle (Amari Galle Hotel). I want to take the public transport can any one suggest whats the best way to travel. I would be glad if some one can give me the bus numbers to be boarded. When does the last bus from Colombo fort to the airport leave? Is it too late if I will be in Colombo fort at 6.15 pm to catch the bus? I think you will be ok at that time. Make sure you take the highway bus, you will need to tripple confirm as some people have found the bus doesn’t actually take the highway! Hi! At what time is the last bus to the airport from Colombo? I would like to share a taxi tomorrow 4 september to the airport. I am now in hikkaduwa, so it would be best to share it from here, but if you aren’t staying somewhere near hikka, then a share from colombo city is also possible. My flight arrives at 1.30am, What will be the best option from airport to Fort Bus stand to get Galle/Matara private Bus? I took the bus around 5pm, having flight at 9pm. Heavy traffic, after one hour, the bus had not reached halfway, and he didn’t use the express highway!! I decided to jump off the bus, took a tuk tuk who drove me fast to the airport, and finally arrived (and got my flight) after 2 hours in the traffic. Don’t recommend it!!! Thanks for your feedback – strange that the bus didn’t use the highway. Might be worth checking with the driver first I guess. Glad you made your flight! Same deal — the 187 bus from Fort bus stop was making constant slow stops and no expressway! Also it didn’t look anything like the one in the picture! I had to jump off and grab a Tuk Tuk with barely any time to spare. Thanks for your feedback. There are a number of different operators running routes with similar numbers, which of course is confusing especially if they don’t take the route that you expect! It’s always worth confirming with the driver. Any bus to Colombo from airport after 9pm? Hey, i need a private bus or a share taxi at the 2 january at 11pm..is there still a bus? 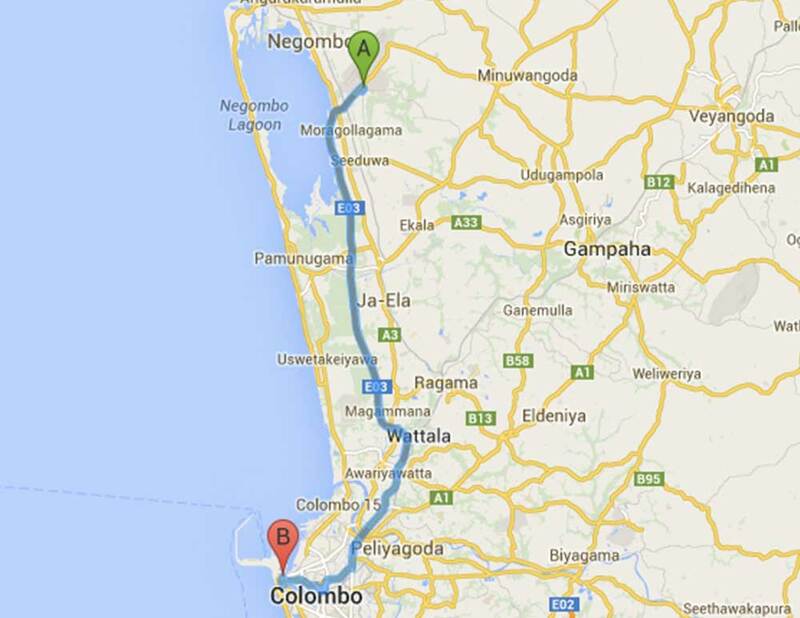 I need to go to the airport in Colombo on December 4, starting from Beruwela which is on the west coast between Bentota and Kalutara. I would like to be at the airport at 5pm latest.